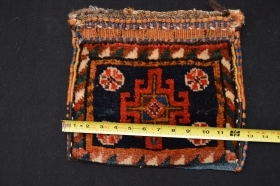 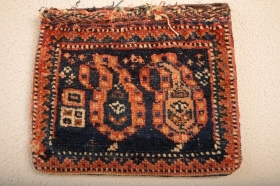 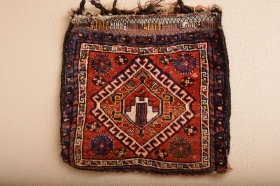 Full Pile and compleet old Senjabi Kurd Bag Clean Meaty wool and the tassels are original Untuched and collection ready 50 x 52 cm. 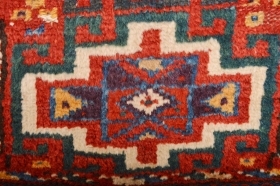 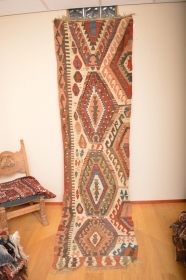 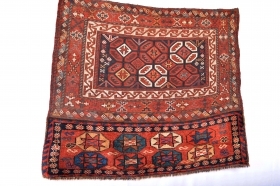 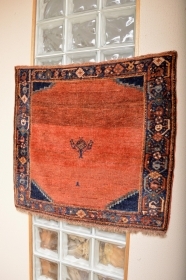 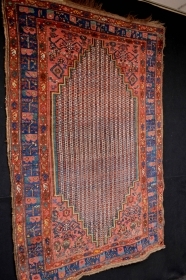 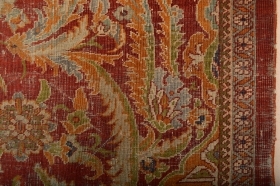 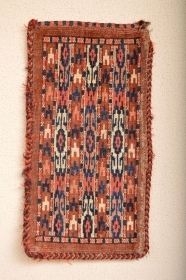 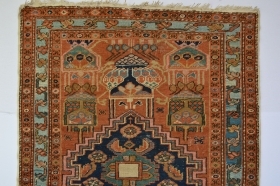 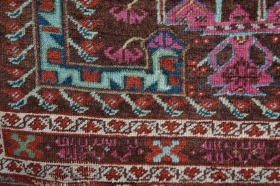 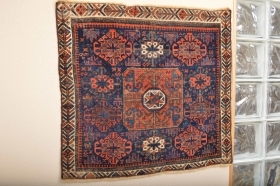 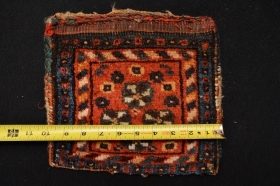 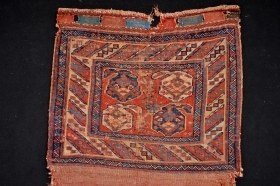 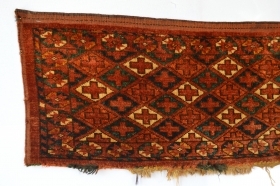 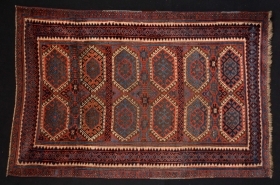 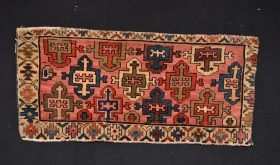 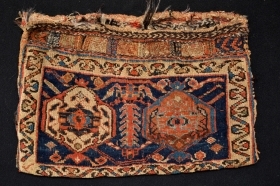 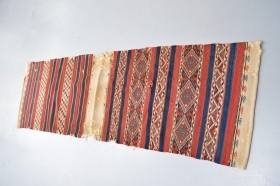 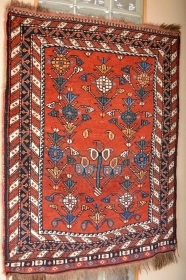 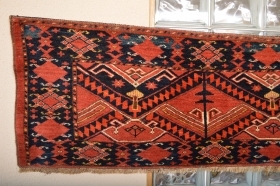 As found Beautiful Rare Patern Whiteground Anatolian Kilim 19th century size 326 x 90 cm. 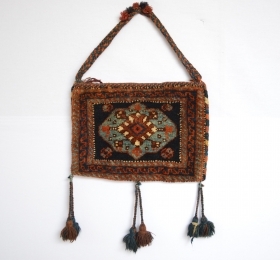 Beautiful Antique Yomud Mirror Bag Good colectible and Rare patern. 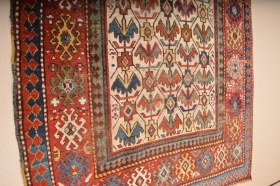 Fresh! 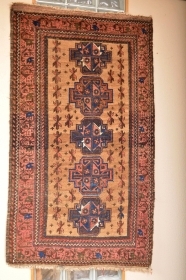 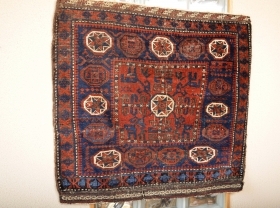 as found 19th century Karachof size aprox 188 x 142 cm low pile and wears as shown Compleet picture available if interest.. 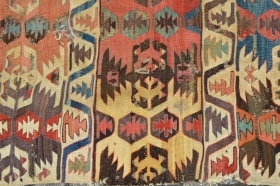 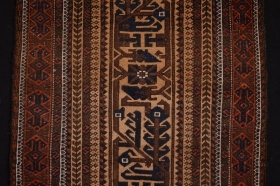 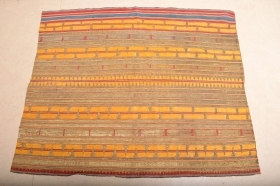 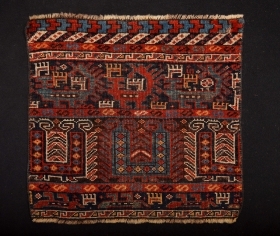 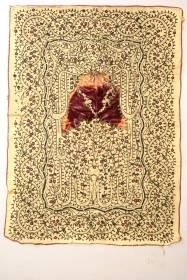 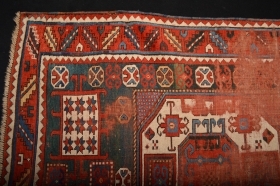 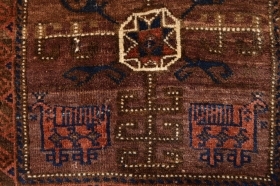 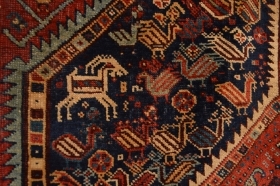 Wonderful 19th century Khamseh confederacy Tribal art Fragment 53 x 50 centimeters. 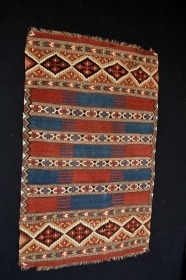 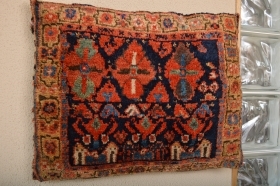 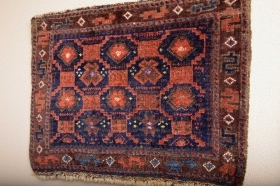 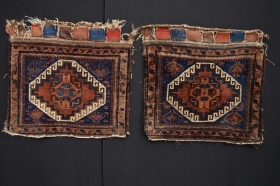 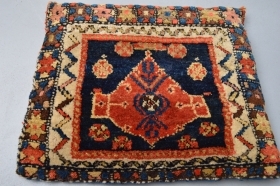 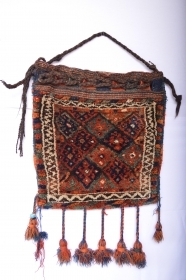 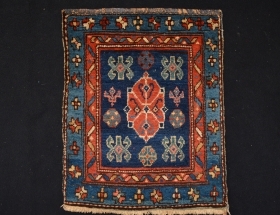 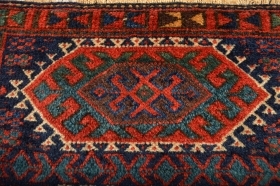 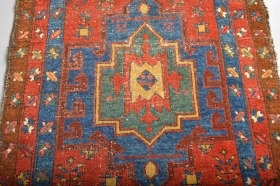 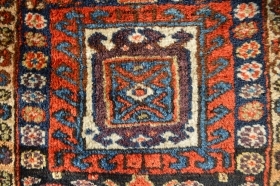 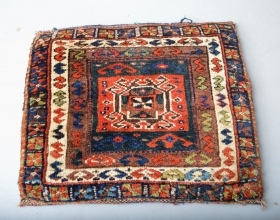 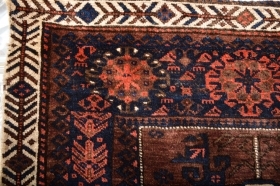 Beutiful Strong all vegetal colors , Full pile Kurdish Pillow with original back Good age 19th century 51 x41 centimeters.